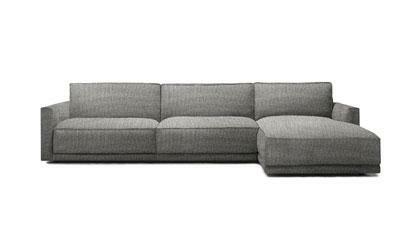 The Ribot modern sofa is available in standard dimensions or can be custom made according to your needs. Shop on-line or in one of our showrooms, our furniture consultants are ready to assist you. Fashionable and precious, Ribot is the modern “ sofa” above all: seat cushions comfortable and always perfect, high back that sustains and receives, pinched seams (“paperina”) that sketch the outlines and exalt the volumes as a dress of haute couture dress-maker’s. A team of professionals makes the Ribot modern sofa.